The fate of the world will be decided by the unseen. "Blood Royal" takes place in the alternate universe of the Pax Britannia as unusual creates roam Europe and America. Ulysses Quicksilver is faced with protecting civilization from the stranger mutations of creatures that threaten his home, all throughout London to the far reaches of Russia. 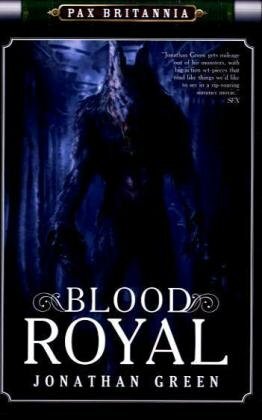 Nonstop excitement, "Blood Royal" is a read that will prove hard to put down.